In present scenario, there is enough potential for employment of Automobile engineering diploma holder. A number of career options are available to aspirants. Following is a list of few career paths available to Automobile Engineering diploma holder. Automobile Consultant – Vehicle sale/ Purchase of pre-owned vehicles. Special services like Wheel alignment, Wheel balancing, Denting and Painting, Calibration of Fuel Injection system, Authorized PUC (Pollution Under Control) center, Lubrication and greasing, and Tyre retreading. Technical Writer / freelance writer of Latest in Automobiles for magazines and journals. Authorized Dealer for Automobile companies. 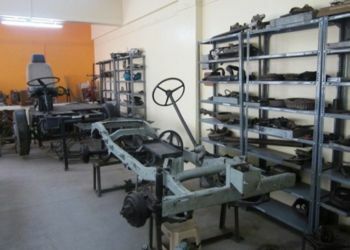 Automobile skill development center under National Skill Development Corporation. Supplier of educational aids, test setups /rigs, relevant to Automobile Engineering to institutes offering Automobile / Mechanical Engineering diploma and degree courses. Further, educational programmes can be undertaken after passing diploma in Automobile Engineering includes the following to name a few. Direct Second year Engineering Degree programme in Automobile Engineering and Mechanical Engineering. Advanced Diploma in Automotive Mechatronics offered by Government Polytechnic Pune. ‘Make in India’ is an initiative launched by the Government to encourage national, as well as multi-national companies to manufacture their products in India . Our country is witnessing huge money coming to us as Foreign Direct Investment. This is directly beneficial to Automobile Sector and Automobile Component manufacturing Industry. With an aim to create global competencies in theautomotive sector by promoting innovation, Research and Development andopening of global test centres, the budget outlay ofthe NATRiP (National Automotive Testing and Research and Development Infrastructure Project) centre was increased to INR 3727crore in July 2016.The time line for completion ofNATRiP centres is December 31, 2017 except for theIndore Centre which is June 2019. Twenty five foreign collaborators have joint ventures with Indian Automobile Companies and they have done major foreign investments in the automobile sector during April 2014 to March 2016.These facts underline the developing automobile sector scenario and employment opportunities. Further, Maharashtra State Board of Technical Education, Mumbai has plans to implement Outcome based education system for polytechnics in Maharashtra with effect from academic year 2017-18. Curriculum is also revised accordingly. Industrial training of six weeks is made necessary. Considering students wholehearted participation in project activities, and to achieve desired outcomes, Micro-projects are included in all the major courses in Automobile Engineering programme. So, there is multifaceted growth of an automobile engineering aspirant. To start with Automobile engineering career, Pimpri Chinchwad Polytechnic provides better opportunities and exposure to latest in automobile engineering. Industry Training combined with Automobile Engineering curriculum provides ideal input to a beginner. Gainingexperience in service industry, gaining vehicle driving and testing skills adds feathers to one’sprofessional career. Is Mechanical Engineering and Automobile Engineering the same? What is the difference between Mechanical Engineering and Automobile Engineering? Does mechanical and automobile engineering these two branches are interrelated to each other? If any of these questions sound like you, then it is necessary to visit www.pcpolytechnic.com. Pimpri Chichwad Polytechnic, which is the best Diploma Engineering College in Maharashtra. What is the basic difference between Mechanical Engineering and Automobile Engineering? Mechanical Engineering is a branch of engineering that involves the design, construction and operation of machinery. On the other hand, Automotive Engineering specifically deals with the construction and design of automobiles. Automotive Engineering is a sub branch of Vehicle Engineering. Automotive engineering is also considered as a sub-branch of mechanical engineering that has split from the main branch to focus on the field of automotive study. 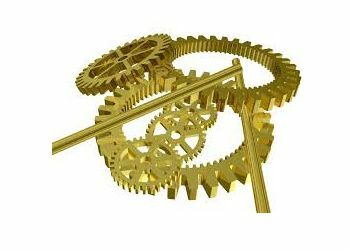 Mechanical engineering is a branch of engineering that primarily deals with the tools and machines. It focuses on the production, design and application related concepts concerning the tools and machines. This branch plays a vital role in the development of processes and products. However, the products may range from a tiny component to a massive machine. Mechanical Engineers are involved throughout the lifecycle of a product; whether it is a research phase or a development phase. This engineering field covers a broad spectrum of devices and machineries. The engineers are widely employed in diverse sectors like manufacturing, power, construction and medical industries. Automotive is used as an adjective that indicates something that is related to or concerned with motor vehicles (automobiles). It denotes anything that is pertaining to motor vehicles; anything that is propelled by a self contained motor, engine or the like. Therefore, Automotive Engineering also deals with the construction and designing of automobiles. To design and implement cost-effective equipment modifications that improve safety, reliability and throughput. To develop, test and evaluate theoretical designs. To solve complex problems related to manufacturing process. To make a product that performs consistently in specified operating environments. To manage projects using engineering principles and techniques. To plan innovative products and processes related to machinery and tools. To provide the specifications and outline designs. To develop research, analytical, conceptual and planning skills. It includes areas such as transport, rail, energy and telecommunications. Typical employers in manufacturing include automotive and aircraft manufacturers, pharmaceuticals, chemicals and consumer goods. It includes the career prospects in drilling, construction, diving supplies, energy transportation, petrol retailers, or refineries. 3. Diploma in Automobile Engineering – Turn Your Passion into a Career! It has been said that we should work in order to live and not the other way around but if you are an automobile fanatic then why not consider combining your love for automobiles with a job in the Automobile engineering field? When you decide that you want to combine a passion with a career and make a living in the Automobile industry then a diploma in Automobile Engineering in Pimpri Chichwad Polytechnic is one of the best first steps to take. The first step towards a career in the Automobile engineering world is to complete the basic requirements in your school and secondary education so that you are prepared to handle the classes in the program. These basic requirements will give you the skills in math, science and other topics that will be used as you enter the engineering programs. This diverse group of topics will give the beginning college student the necessary background to be successful in the program. Don’t worry if your secondary institution did not have all of these classes available, there is the option to take these courses in your first year of college education and then enter the Diploma program. Once you have qualified for an Automobile engineering curriculum with the school of your choice there will be a series of basic entry level courses you will be required to complete. These classes include Calculus, Differential Equations, Matrix Algebra, Chemistry, Physics and other basic general studies courses such as English and social sciences that all college Diplomas much take. 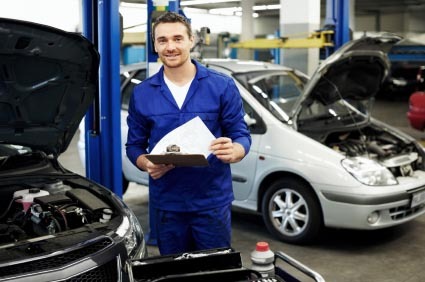 Once you have completed the basic courses then your Diploma moves into the more specialized courses specific to your Automobile Diploma program. These courses focus on mechanical engineering courses such as Statics, Dynamics, Thermodynamics, Manufacturing Technology, Quality Control and Materials Science and they are geared towards Automobile specific topics. 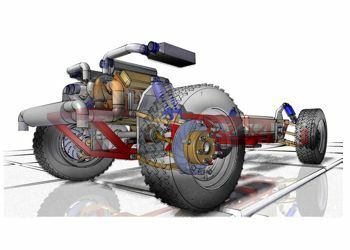 The goal of this Diploma is to give you a leg up in the Automobile engineering field and give the next generation of graduates a head start in the Automobile engineering field with Automobile specific experiences and case studies so that the new hire engineer is already familiar with the field. Keep in mind there many reasons against getting an Automobile engineering Diploma, as opposed to a mechanical engineering Diploma as your bachelors. Not many Automobile bachelor Diplomas are accredited as of today, and if you want to land a job after school you better make sure that your Diploma is legit! 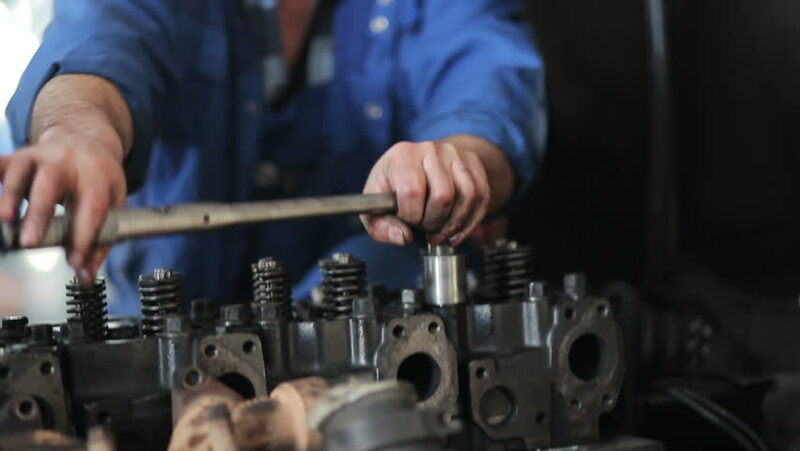 The other reason to go for mechanical over Automobile early on is that mechanical engineering offers a much broader range of engineering principals for you to build on. An Automobile engineering Diploma is very focused on specific elements of design and engineering that are difficult to learn without a strong overall foundation. My recommendation would be to get your bachelors in mechanical engineering and then move on to Automobile engineering masters. Pimpri Chichwad Polytechnic offers a variety of activities that will enhance the educational experience for Automobile engineering students. These activities include programs such as internships where the student spends a portion of their time working for a company in the Automobile industry or there are competitive programs that pit schools against each other in Automobile engineering competitions to design the most efficient, fastest or creative vehicle. When you decide to follow a career path in the Automobile engineering field you will receive the education and experiences you need to begin your career immediately after diploma. You will have a step up on other job applicants since you will already have a strong basis in the Automobile engineering field and will take less time to come up to speed to be productive in the work environment. No matter what field of Automobile engineering you choose to specialize in you will have numerous job opportunities to choose from and the educational experiences needed to be successful in your field. The Automobile industry continues to grow and be challenged to become more efficient, sustainable and perform better and Automobile engineers will be on the design teams that bring the vehicles to market designed to meet these challenges. Have you ever looked at a design and wondered why they made something the way that they did? Did you analyze the part and disassemble it looking at the infrastructure as to why the end product looked like it did? Did you puzzle over the innards of a part then put it back together and have parts left over but the product still functioned? Is there always just one more tweak that you can make to a design and you are never quite happy until you’ve squeezed every last ounce of performance from a product? If any of these questions sound like you, then consider a job as a Continuous Improvement Engineer within Diploma in Automobile engineering field in Pimpri Chichwad Polytechnic, which is the best automobile engineering diploma college in Maharashtra. Continuous improvement is a philosophy that is integrated within the Automobile engineering fields. The thought is that those who are closest to the product and process will notice ways to improve the process and design to make it better. Everyone working within the automobile manufacturers from the assembly line work through the administrative assistants and all the way to the design engineers are responsible for continuous improvement. Each person within the is given the opportunity to share their ideas and most companies value these ideas so highly that they will reward the employee to documented the idea first with a share in the savings or credit for the design if there was no dollar amount attached. Because of the importance of this idea, companies have now put together an actual job description around Continuous Improvement position. So, just what does a Continuous Improvement Engineer do on their day to day jobs? First and foremost, their job involves looking at all designs and processes to see if they can identify areas where the process can be improved. They will conduct efficiency studies on assembly processes looking for any places where there is wasted motion. They will optimize test times to make sure that there are no bottlenecks in the process. They will review production performance to see if there are any ways to tweak the process and make it even better. Their role is to constantly be critical and never accept ‘no’ for an answer. Additionally, the Continuous Improvement Engineer works as a gatekeeper for incoming ideas from the rest of the organization. They will review the ideas they receive and determine if they are feasible for integration in the process while also assessing if there is a dollar amount in savings from the ideas. Like many other engineering fields becoming a Continuous Improvement Engineer requires an educational background in engineering. This Programme will provide the knowledge basis you need to determine if an idea is feasible and can be implemented in the design or manufacturing process. Continuous Improvement Engineers can have any number of engineering specialties like Mechanical, Electrical or even Industrial Engineering as they will work with a team of like-minded engineers and be able to leverage everyone’s specialties in their fields. To earn diploma engineering, high school student will need a strong foundation in advanced math, sciences, physics and chemistry in order to prepare them for the stringent class work that students will see. When you are constantly challenging the status quo and never quite happy with the way things are done then consider putting those habits to work as a Continuous Improvement Engineer in the Automobile engineering field of work. Those tendencies just might land you a bonus for implementing a valuable, time-saving alternative for the assembly process. 5. Why Diploma in Automobile engineering is better? While the diploma is convenient and a short term course to start with in the field of automobile engineering, it’s also beneficial as degree from an IIT or a big name in the industry is not among the key demand. You don’t necessarily need to strive for a reputed college as once you are proficient in fundamentals of automobiles; degree from a local college is more than enough. Hands-on experience is what matters the most in engineering, hence if you are getting advanced laboratories, knowledgeable scholars and safe and sound atmosphere to learn, there’s no benefit in heading towards city. One of the best diploma college in Pune regions is Pimpri Chinchwad Polytechnic . What making India a flatter location for automakers are advantages such as low-cost production, strong auto component industry, fluency in English, and more importantly potential of Indian engineers to deliver competitive product. With these considerable developments coming in the country, demand for automobile engineering graduates and diploma holders are also growing at an ever-increasing rate. Generally, employers ask for a graduate degree but if you’ve a knack for the wheels and willing to get into the real world early, then a lot can be done with a diploma in automobile engineering. It’s not an unknown fact that the automobile industry is one of the fastest growing sectors on India’s economic geography. It’s an industry that contributes 7 to 8 per cent in our country’s GDP, which is growing further at an ever-increasing rate. Several industry pundits and researches claim that India is leading to become world’s third largest automobile manufacturer by the year 2022, considering the high interest global players such as Volkswagen, Ford and Renault, showing into making India their production hub and of course the rapid growth rate in domestic demands. This could not be denied knowing that within the last few years Industrial cities like Pune, Chennai and Bengaluru has witnessed colossal investments coming from the leading global automakers, in the form of their state-of-the-art manufacturing facilities and advance research centers. Diploma in Automobile engineering is a great way to start making a strong background in applications of automobile engineering. This is certainly one of the most common fields engineering aspirants choose and it promises job certainty to a great extent since always. Employment opportunities for automobile engineers are always there and with the fast-growing development of the manufacturing sector in India demand for automobile personnel are skyward. For those who don’t know, automobile engineering basically covers the working aspect, design, applications and manufacturing of automobile components, machinery and tools. Candidates interested to set up their career in this sector can start either with a diploma in automobile engineering or a 4 years B.Tech program. Though, what makes a candidate well-versed in this subject is the maximum amount of practical training he/she has carried out along side imbibing theoretical learning. So, before you enroll yourself in a college, irrespective of the city or name, we recommend you to first consider their labs infrastructure, equipment level available at the disposal and most important is the faculty. One of the best Colleges we’ve found in Pimpri Chinchwad region is Pimpri Chinchwad Polytechnic. Students sure about their interest and are in a hurry to experience the real world working culture can start with the diploma. Eligibility for the 3-year diploma in automobile engineering is candidate should have must cleared high school education with English, science and mathematics. 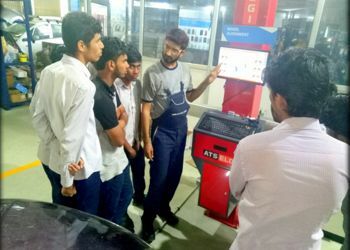 Its curriculum is good enough for imbibing fundamentals of the automobile engineering, including the modern automation processes, robotics and hydraulic machinery. Once you are done with it, you can strive for position in fields like product design and development, plant management, alternative energy consulting, electrical power management, manufacturing and product marketing as well in a number of private firms and auto companies, besides preparing for PSU and Army recruitments. 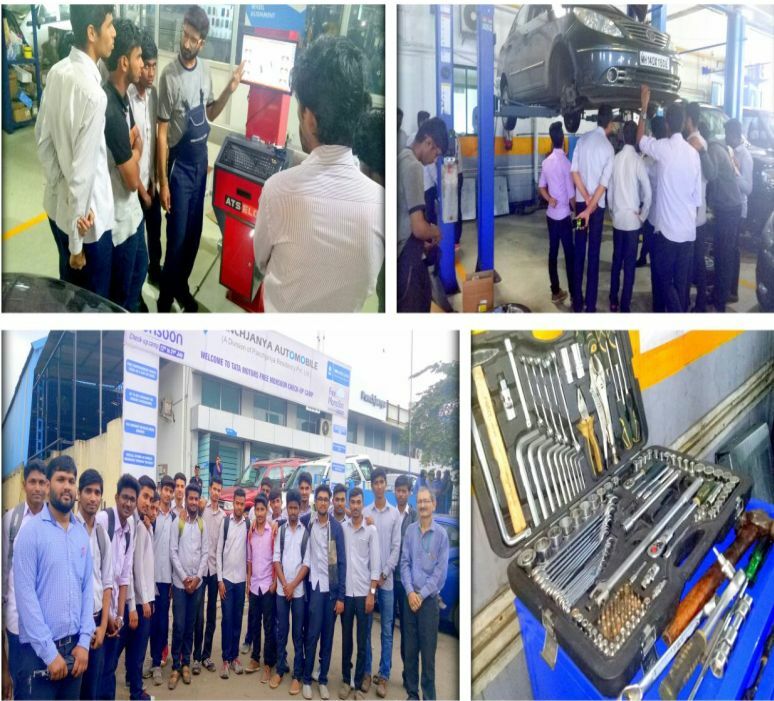 Whether you have little work experience, are looking for your first job, are fresh out of college, or are skilled, experienced, and looking to change industries, if you want to parlay your love of cars into an exciting career, then the automotive industry is definitely a sector of the workforce that you should consider.Pimpri Chinchwad Polytechnic is the best automobile diploma engineering college in Pune that provides high level of career guidance towards automotive industry. A career in the automotive industry might be the perfect fit for your passion , personal interests, and skills and experience. 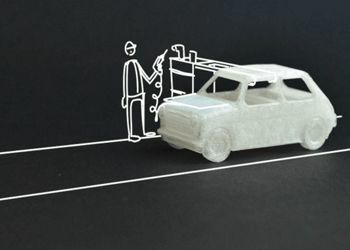 Here are three things you should expect in a career in the automotive industry. The automotive industry is one of the biggest, multi-faceted and wide-ranging industries you can get into. The job opportunities are limitless. Whether you’re interested in sales, marketing and publicity, legal, engineering, welding, manufacturing, tech, or any other number of career paths, you’ll be able to find an opportunity that you’re interested in, passionate about, and will love. Some job opportunities, like auto parts manufacturing, are entry level. You can break into the industry by getting into an auto manufacturing job, getting your foot in the door, learning new skills, gaining experience, and building your career from the bottom up. Others, like auto engineers, require high-level education. Whether you’re looking for a career in the automotive industry as your first job or you have significant education, skills, and experience in a relevant field and are looking to switch to this industry, you’ll be able to find opportunities that you are qualified for. If you love tech, then you’ll love a career in the automotive industry. 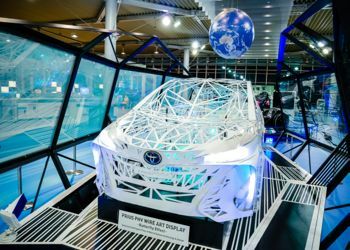 With the rapid development of technologies and innovations such as autonomous driving, electrified power trains , advanced safety systems, and next-generation hybrid and electric cars, you’ll never stop being fascinated be the new technologies that are being implemented in vehicles today. New innovations in vehicular technologies also mean that that auto makers are always in need of talented tech employees. There’s a big demand for engineers that know power electronics and software and computer science. After years of layoffs and hiring slowdowns due to the recent recession, the automotive industry is now rebuilding its workforce to meet an increase in sales. Though it might have been tougher—and riskier—to get a career in the automotive industry 10 years ago, the field is now thriving again. There is improved job security and stability that comes from a career in the automotive industry today. 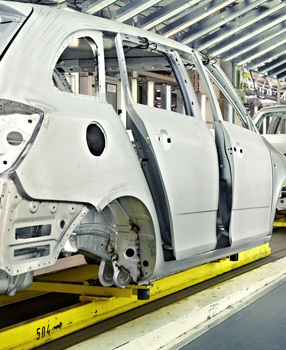 The car and auto parts manufacturing sector in particular is in high demand for new employees. It’s the second leading form of manufacturing after beverages, and manufactures are now ramping up business to keep up with the recent growth in sales. As companies continue to expand and start to add more capacity and a higher time commitment to keep up with demand, it means more take-home pay for the workers as well. In fact, manufacturing leads the rest of the auto industry in terms of hours worked and wages. In addition, the majority of auto manufacturing jobs are unionized, which can be a major advantage when it comes to security, stability, wages, and benefits. Interested in a job in the automotive industry? Contact Liberty Staffing today to find a job opportunity that suits your needs, interests, and skills. It is said that “There is always room at the top”. This idiom hold good for a skilled technician. i.e. In many organizations, we may find a position vacant / due for a skilled technician to occupy. We see advertisements in newspapers filled with requirement of skilled technicians in India and abroad. A number of roles can be paid by a skilled technician in Automobile Engineering field. Presently, it is seen that the role of automobile engineer is being played by some other persons. There is a lot of scope for Automobile Technician in Automobile Industry and allied industries. Some out of the box careers are as follows. Automobile Dealership: Technician is involved in servicing, repair and maintenance of vehicles of various categories/ classes. A mention of 3S- Sales and after sales service (SSS). 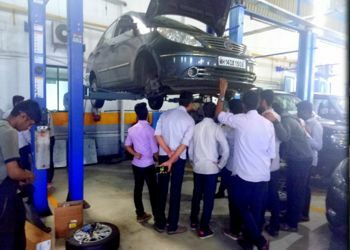 A mention of Dealership General manager’s Salary of Rs 1,00,000/- was also made, with a need of about 5 years of experience in the field of service and repair. Accidental vehicle repair: All manufacturers work involves about 40% servicing work. But maximum revenue is obtained from Body and Paint shop with cutting and welding work. Career in Paints: Sales and Marketing. Insurance: An engineer can start a career in car insurance and other insurance business as a surveyor and loss assessor. IRDA website address was also shared for information on Surveyor’s Examination. Total Loss Job, estimation of Loss can be carried out as Independent Surveyor or as an employee of Insurance company. Earth moving machinery: Sales and repair, marketing. After Sales service including: Service, Marketing, Body and Paint work. Present day garages are shifting / transforming into Service stations. 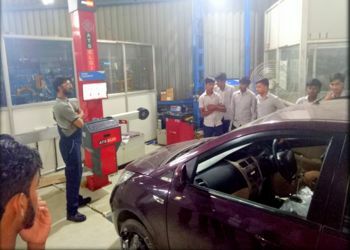 Sales of Workshop equipments: like welding machines, Diagnostic equipment, Wheel alignment, Wheel Balancing, Sales, Service and marketing as career options are available. Component manufacturing and sales of mechanical components and marketing of the same. Presently 80% components are electrical and electronic types. So there is a vast scope towards marketing of the same. So grab an opportunity around you for a great career. Get trained, get skilled, get skilled at higher level as you gain experience during working in industry. At Pimpri Chinchwad Polytechnic, an expert was recently arranged- to discuss various options available for Automobile diploma engineer. This session was very interactive. And a visit to a modern garage was also arranged to get into the insight of changing ‘Automotive Service industry’. BLOG written by Prof. S. D. Gandhi, Senior Lecturer in Automobile Engineering. 2. Mr. Dipesh Gophane, Head of Training Department, M/s Deccan Honda Pvt. Ltd. The mode of transport which you use is safer, sound systems deliver quality music; computers and mobile phones are a lot more fun. How is this possible? Who is the real mind behind such things? Who is making our lives more comfortable? Who is making a brighter future for us? So the group of people that is responsible for all the things and have the responsibility to tackle the complex problems and move us towards a better future. They are Engineers and they have the ability to create this future! JUST imagine your lives without mobile phones, pollution controls to preserve the environment, life saving medical equipments, or low-cost building materials for fighting global poverty. All such things take top diploma engineering college in Pune. It’s true that the engineers shape our world in very real and concrete ways, save lives, prevent disease, reduce poverty, and protect our planet. Engineers the real innovators of our society use their knowledge of science, mathematics, logic, and appropriate experience to find suitable solutions to a problem. To improve the living standards and quality of life innovation is the key and engineers are the real innovators of today. This shall become more important as our society transitions to high tech, high value-added activities. Engineers are the backbone of our society and the creatures who would lead us to a more bright future. Engineers have the unique role of solving social problems through the use of machines, devices, systems, materials and processes.Best engineering college in Pune has an inherent impact on society that differentiates it from science. Since in a dynamic world, our future health, wellbeing and prosperity depend on our ability to innovate, so the engineers are very important as our society transits to high tech, high value-added activities. A skilled engineer is the demand of today and he is needed in every aspect. Without these people our civilization would be as advanced as Stone Age without these people. These quality people have shaped our world. Engineering has a variety of areas to excel in. It provides creative work, the chance to work with a team and the compensation is far from the average. It is also one of the most important careers in our society. Without it, our civilization would be nothing like it is today; and the pleasures that many of us take for granted would not be here to comfort us. Finally, the contribution of Engineers is very important to the quality of life in society and it is mandatory that they articulate their role clearly and firmly. Without Engineers a modernized world, where almost every person depends on Technology would be impossible. Engineers create new innovation stuff just by their different way of thinking from the common man and by their skills, dedication and hard work they create something new or improve the products. After our 10th Std. the biggest question that arises in our mind that which subject we should opt and what are the scopes of different fields? Each and every field has its own scope but the versatility offered by Engineering is just beyond expectations. For getting a Diploma engineering, the first and foremost step starts in the class 10th only, where you prepare really very hard to get into your dream diploma college. Now comes the second step that is the branch selection. Actually engineering is further divided into many branches of it, which are: Computer Science Engineering, Mechanical Engineering, Automobile Engineering, Electronics and Communication Engineering, Electrical Engineering, Civil Engineering. Engineering is wide spread each branch has its own importance. 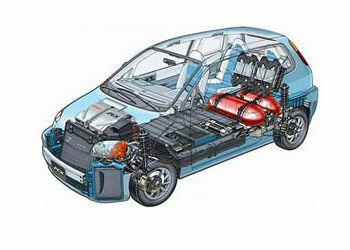 Automobile Engineering: Known as the versatile branch of engineering Mechanical Engineering has a special place in engineering. Automobile Engineers deal with the daily life problems which we face daily in the real world, like problems related to automobiles, or designing of automobiles all of these things comes under the Dept. of Automobile Engineering. I always wonder that how would the life of an engineer be? I was always curious to know about the lifestyle of a person who is the backbone of our society. Does person who is responsible to make us lead a comfortable life is also living a lavishing Life? It’s true that he works day and night to make our lives comfortable. The mode of transport which you use is safer, sound systems deliver quality music; computers and mobile phones are a lot more fun. How is this possible? Who is the real mind behind such things? Who is making our lives more comfortable? Who is making a brighter future for us? So the group of people that are responsible for all the things and have the responsibility to tackle the complex problems and move us towards a better future must also a lead a comfortable life. The meaning of comfortable life is not only in terms of salary but it is the way a person would wish to live. Although the top diploma engineering college in pune are paid a good amount of money for the work they do but do you think that they have a life just as you? Haven’t you seen that how engineers are busy in their homes to do something creative? You might have seen many videos on the social networking sites that how engineers work day and night just to make you lead a comfortable and lavishing life. They are the real innovators of our society. Engineers the real innovators of our society use their knowledge of science, mathematics, logic, and appropriate experience to find suitable solutions to a problem. To improve the living standards and quality of life innovation is the key and engineers are the real innovators of today. This shall become more important as our society transitions to high tech, high value-added activities. best diploma engineering college in pune are the backbone of our society and the creatures who would lead us to a more bright future. Engineers have the unique role of solving social problems through the use of machines, devices, systems, materials and processes. My father is also an engineer. He works very hard not only in their office but he is also busy at home to make something more innovative so that he could benefit the society. He leads a creative Life and is always busy in trying new and new innovations. Finally, the contribution of Engineers is very important to the quality of life in society and it is mandatory that they articulate their role clearly and firmly. Without Engineers a modernized world, where almost every person depends on Technology would be impossible. Engineers create new innovation stuff just by their different way of thinking from the common man and by their skills, dedication and hard work they create something new or improve the products. Diploma in Engineering is a field of innovation, making something new for our society which can help in any forms and become an essential part of life. To become an engineer one should be passionate about it, if you are not then it is not for you; with passion a student need proper guidance from the college and motivation that he can give our society something useful. Thus you need an Diploma in Engineering college which is filled with all the resources you need and can guide you like a torch in dark. The Diploma in Engineering college you are looking for is PCP. You will find PCP under the list of Diploma in Engineering colleges in Pune. PCP will provide the treasure of knowledge from the most experienced and talented teachers and have all the resources you need to complete your Diploma in Engineering and make you capable enough that you can get placed in a reputed company which give your career a boost. It’s a benefit for the Maharashtraian students that they have the treasure of knowledge in their state. PCP comes under one of the top Diploma in Engineering colleges in the list of Diploma in Engineering colleges in Pune. PCP has a rich heritage. It is the most prestigious Diploma in Engineering college running by “The Pimpri Chinchwad Education Society”. The mission is “To Produce World Class Engineers, Managers and Technologies with Training of Head, Heart and Hands Employable anywhere in the world”. PCP provides you all the facilities and support to “Be the change” you want to be. This type of thinking of chairman made the PCP to be recognise as an emerging Diploma in Engineering college in Pune. Among the list of Diploma in Engineering colleges in Pune, PCP makes its identity as a promising college. As an Diploma in Engineering college you will find all the things you need but which thing makes it best is the effort of teachers and trainers on the student to fulfil the mission and to shape their future. And all of this can happen not only because of the teachers but the passion of student to become the best. PCP is a promising Diploma in Engineering college you can trust completely. Thus check out it in the list of Diploma in Engineering colleges in Pune. Take a step backward and think properly that when was the time that you were the most productive and serious about your work. When was the time when your mind was sharpest and was in a position to put 100% efforts? Obviously it was the last minute as it is truly said that nothing makes you more productive than the last minute. Human has some sorts of habits. Some of them are good and some are bad. My bad habit is the procrastination of things. Sometimes it proves very beneficial as my mind is creative at the last moment. But in some cases it proves very harmful. Procrastination means always put off things that need to be done presently. This can be happened on me in various aspects. For example, I always hand in my homework just before the deadline, though I know I need to do that long time ago. Similar is the case with engineers who are the building blocks of our bright future. Engineers are the backbone of our society and the creatures who would lead us to a more bright future. Engineers who have the unique role of solving social problems through the use of machines, devices, systems, materials and processes are more productive at the last minute. A skilled best diploma engineering college in Pune is the demand of today and he is needed in every aspect. Without these people our civilization would be as advanced as Stone Age without these people. These quality people have shaped our world. Engineering has a variety of areas to excel in. It provides creative work, the chance to work with a team, and the compensation is far from the average. It is also one of the most important careers in our society. So engineers form the backbone of the society. Since all the people are dependent on engineers so it is very essential for the engineers to be very productive. They do all the essential works but it is true that all their skills and sharpness of mind is at highest peak at the last minute. This is not procrastination ie they do not procrastinate their work but divide their entire task in sets so that they could complete work in given time. The contribution of Engineers is very important to the quality of life in society and it is mandatory that they articulate their role clearly and firmly. Without Engineers a modernized world, where almost every person depends on Technology would be impossible. Top engineering college in Pune create new innovation stuff just by their different way of thinking from the common man and by their skills, dedication and hard work they create something new or improve the products. Engineers are ubiquitous nowadays. Engineering career is a cliched career choice yet a powerful one. Students who are inclined towards technology and want to study further can always for this career. A fact cannot be denied that Bachelors of Engineering is the most sought-after degree in our country. Movie such as ‘3 Idiots’ have inspired many young students to take engineering as their career. With thousands of Diploma engineers graduating every year, the number of engineers is surpassing day-by-day. In India itself the number of engineers is increasing at a sky-rocket speed. However one must understand that the quality of education matters a lot. Thus it is very crucial to get admission in the top engineering college. Remember there are thousands of students eyeing on top engineering college. Only a handful of these students make it to the list. Such colleges are IITs, NITs and other colleges such as BITs and so on. Since these colleges are the recognized as prestigious colleges of the country, the entrance exams are also relatively tough. However there are other best engineering college in Pune the country who have made it to the list of country’s top institution for engineering. And one such college is Pimpri Chinchwad Polytechnic (PCP). This institute is one of the top diploma engineering colleges in Pune. The ambience is beautiful and becomes vivacious once students starts coming to the college. The top engineering college of Pune, PCP has been approved by All India Council for Technical Education (AICTE) and Department of Technical Education (DTE), Pune. This institute is affiliated to MSBTE and ISO 9001:2008 Certified. PCP has produced great engineers, managers who have reached the milestone of their careers rapidly. The quality of education received has never been compromised in PCP. Only excellent education has been provided since decades in this institution. A parent shall blindly trust on the future of his child if he is in PCP. Thus if you believe that you have talent and want to nurture it, join PCP, the top diploma engineering college in Pune right away. Don’t think twice. If you are selecting PCP then it’s the right choice! It is very tough for everyone to involve in the true friendship. Lucky are those who get a true friend in the big crowd. A friend helps you to move ahead in life and always motivates you to work hard to achieve something valuable. Here’s a story of two friends who became renowned engineers. Getting a true friend is rare but the two friends were very lucky to have each other’s company. From class 4 they studied in the same class. Both were best friends and were loved by everyone. Their friendship was so intense that both had the same goals of life. Both of them wanted to be the Engineers as they were taught by their teacher that without Engineers a modernized world, where almost every person depends on Technology would be impossible. Engineering has a variety of areas to excel in. It provides creative work, the chance to work with a team, and the compensation is far from the average. It is also one of the most important careers in our society. So their ambition was to create new innovation stuff just by their different way of thinking from others and by their skills, dedication and hard work they would create something new or improve the products. They observed many things in the surroundings like the mode of transport which they used was safer; computers and mobile phones are a lot more fun. How was this possible? Who is the real mind behind such things? Who is making their lives more comfortable? Who is making a brighter future for them? All these questions were answered by their parents that the group of people that are responsible for all the things and have the responsibility to tackle the complex problems and move us towards a better future. They are top diploma engineering college in Pune and they have. The mode of transport which you use is safer, sound systems deliver quality music; computers and mobile phones are a lot more fun. How is this possible? Who is the real mind behind such things? Who is making our lives more comfortable? Who is making a brighter future for us? So the groups of people that are responsible for all the things and have the responsibility to tackle the complex problems and move us towards a better future are the Engineers and they have the ability to create this future! So they worked hard day and night to get admission in the most renowned college Maharashtra. Their education was probably the most demanding as far as the mastery of the material given as any other degree as it involved their complete attention and determination. After completion of four years many companies came in the college for the placement of the students. Again their hard work paid them and luckily both of them got placed in the most renowned companies. Also they are now the most renowned engineers of modern era. The real innovators of our society are using their knowledge of science, mathematics, logic, and appropriate experience to find suitable solutions to a problem and are putting their best efforts to improve the living standards and quality of life. They are the backbone of our society and the creatures who are working day and night only to lead us to a more bright future. ThMy brother was passionate in doing the engineering in computer science from top engineering colleges. He explored the list of colleges through different sources and finally came up with few top engineering colleges offering different courses. PCP located in Nigdi at a walking distance from Akurdi Railway Station came on the top list. He said that it is not only the best college but a perfect place for acquiring good knowledge. The college has a salubrious atmosphere as it is located in pollution-free and surrounded with lush green. The Institute is said to be an ISO 9001:2008 Certified Institute and one of the top diploma engineering college in Pune. Not only this, he boasts of the innumerable merits he has been receiving studying at PCP. So, still my question to him was- how did the college won his heart and also I was very much excited to know about Engineering. He gave me a detailed explanation that engineering is all about generating and implementing technical, scientific & mathematical ideas into reality. Thus, engineers turns vision into reality and PCP is one of them in India with such large number of young talented engineers. Besides the quality education, PCP offers programs in innovative and emerging areas. The vision of the college lies in making quality education available in different areas of knowledge to the students as per their inclination towards their interest. The learning culture and faculties at PCP are superb and they let you help to apply knowledge to come up with new ideas and solve problems, build, and design. The college ranks as one of the top engineering college in Pune in terms of providing knowledge profile. Rapidly, PCP has been emerging as a brand. They have a great placement cell which invites top company for their students. Placement and training cell constantly strives for the best placements for student. My brother feels on cloud nine after joining the college. The highly-qualified professors and teaching staff ensure that student’s get the best empirical education related to the real-world situations. Now, even I am deeply impressed with the magnanimous infrastructure of the engineering college. The Smart class room facility, well-equipped laboratories and workshops with the latest technology tempts me to join the Institute. I do believe that besides having diploma in engineering it is very important to have all round development. And I saw drastic change in my cousin within a year. He joined various personality development programs which were mandate and regular for every PCP student. It was the thing that I liked the most about that college! Diploma colleges like PCP are known for their excellence in research and innovation, and for its strong links with business and industry.